With the holiday season upon us, I’ve been finding myself pressed for time and turning to online shopping more than I thought I would. 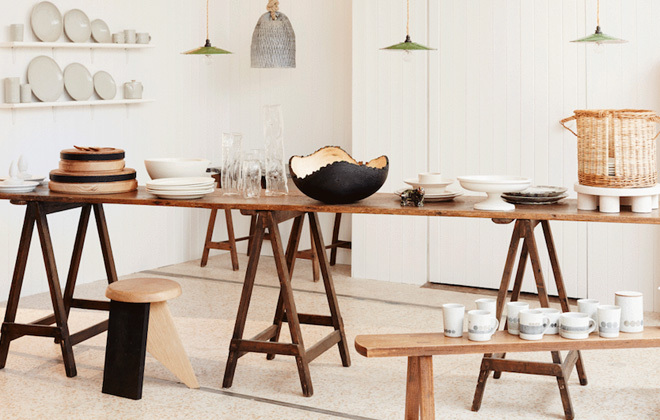 Usually I am wary of anything I can’t see and touch in person, which is why I was so relieved to come across British online retailer the New Craftsmen, which is focused on promoting and preserving British craft and tradition through their wonderfully curated selection of wares for the home, along with fashion and jewelry. It’s perfect for those of us who don’t have a lot of time, but still want the real craftsmanship of our gifts to be evident. Plus, with the wide selection of real British-made crafts, it is almost like walking through the streets of London. Almost…. 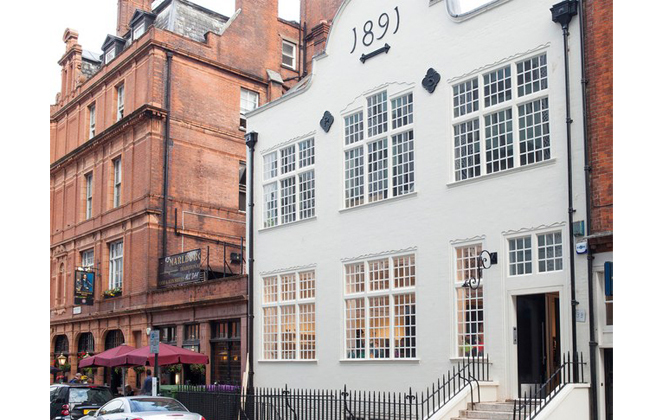 The New Craftsmen’s Mayfair atelier. The concept and online shop were founded in 2012 in Mayfair London by Catherine Lock, Natalie Melton, and Mark Henderson, who wanted to share with the world objects that are “deeply connected to culture and place.” So they set out to feature British-made goods, fostering collaborations with makers that utilized age old techniques to produce updated contemporary takes on the classics. In this way, the team is all about redefining luxury to mean well-made and locally-crafted, rather than merely expensive. “I see craft as art we can live with in a real way,” Lock told the New York Times, which is a sentiment I surely can get behind. 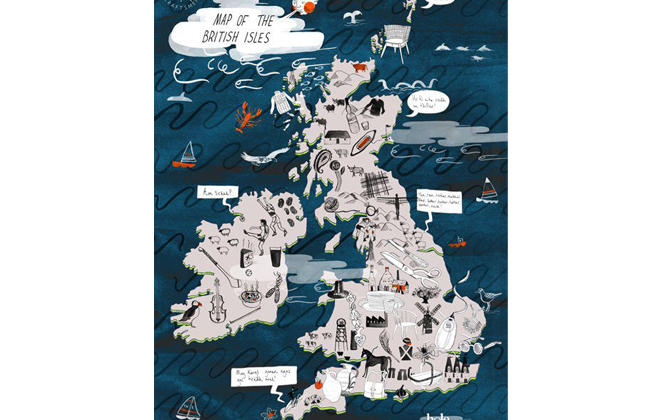 I just love this “craft map” of the British Isles from The New Craftsmen. But they did not stop at creating a beautiful online shop. 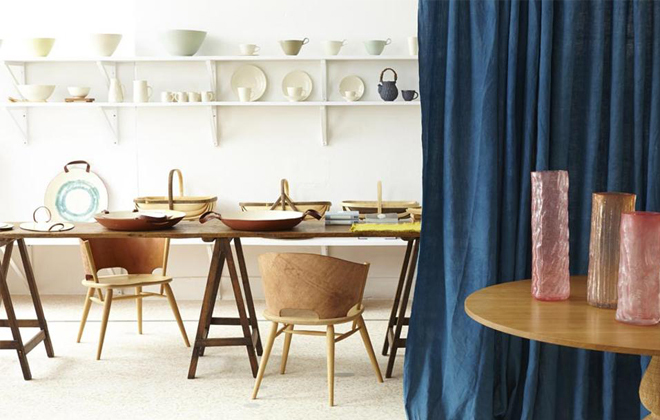 This past year they opened an atelier in Mayfair, London, and also came out as the stars of London Design week with their two major installations, Craft House and Makers House. Craft House focused on the domestic actions of eating, sleeping, bathing, working, to produce installations that utilized craft to cater to those needs, with stunning results. And Makers House in partnership with Burberry was also a hit, with demonstrations, installations, and re-interpretations of British craft all under one roof. 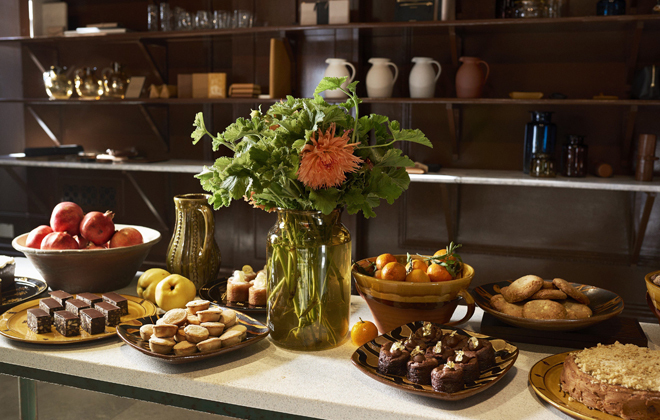 They’ve continued this partnership through the collaboration on Thomas’s Cafe, Burberry’s Vigo Street restaurant. The lovely Thomas’ restaurant at Burberry which features their products. Photos courtesy of New Craftsmen. The atelier in Mayfair has become a mainstay in London’s new craft movement, bringing together a new kind of luxury, which holds craft, process, and stories above all. Here, artisans are welcomed on a rotating basis to work and demonstrate their skills and wares, as well as offer their bespoke services. It truly is wonderful to see that these generations-old crafts and traditions are being honored and coveted in a new light. Although I won’t be able to make it to London to shop the atelier in person for a while, I know I’ll be browsing the online shop for some holiday gifts this season, and beyond, to support the handmade – because as always, it’s the best made!